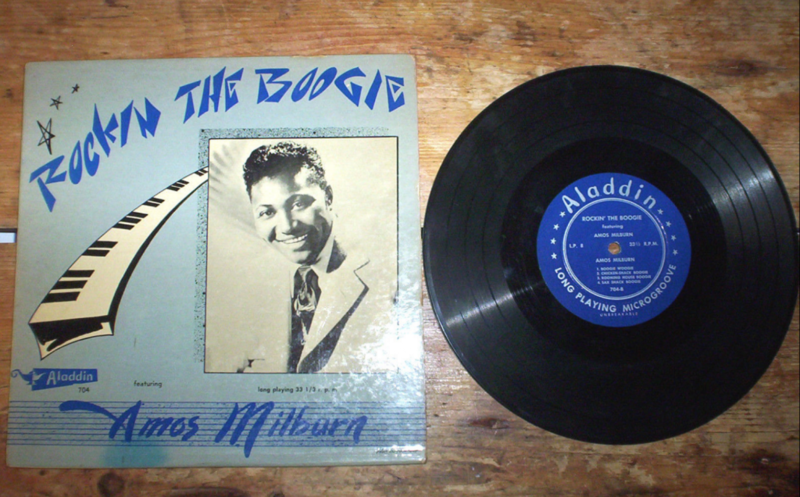 Check out these vintage Amos Milburn vinyl records LPs for sale. Amos Milburn was an influential R&B singer and pianist born in Houston, Texas. Milburn was very adept at up-tempo boogie woogie tunes about liquor and merriment that had a lot of humor and innuendo draped throughout the lyrics. He was one of 13 children, and was already playing songs on the piano at the age of five. The musician connected with Aladdin Records in 1946, and he made his most well known records there. Pick up a 78 of his often covered classic One Scotch, One Bourbon, One Beer.